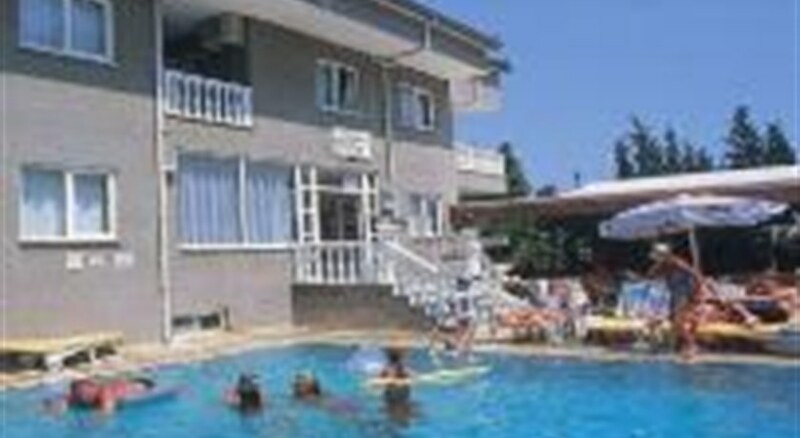 Daystar Armutalan Apartments are situated in the Armutalan area of Marmaris, just less 2 kilometres to the beach and town centre with all of its lively nightlife. There is a regular local transport service which stops just a few minutes walk from the apartments. For those who do not want to go into town, there are plenty of shops, bars and restaurants within the immediate vicinity. These Apartments are a great choice for anyone looking for good value in a convenient location.The one bedroom apartments have a twin or double bedroom, a living area with kitchenette and two sofa beds, a shower room and WC, and a balcony. Air-conditioning is available in the bedrooms and is payable locally. Safe deposit boxes are available at reception and are payable locally. 2 kilometres to the beach and town centre.Transfer time from the airport to the resort is approximately 1 and half hours. The Daystar has its own swimming pool with children’s section, surrounded by a sun terrace with sunbeds and umbrellas. There is an outdoor bar and restaurant adjoining the pool area ensuring you never have far to move to enjoy a drink or a poolside snack. There is also a pool table and satellite TV in the bar area.